Established in 2007, Press Plus has remained a low key company and only provided services to a select customer base. Having over 30 years in the Printing Industry, Kevin Rice and his team are now offering TURN-KEY solutions to all of North America. As one of the few stocking dealers in North America, Press Plus utilizes its global contacts to source the very best in used equipment. With our exclusive collaboration with engineering specialists here in the USA and Europe, Press Plus can offer the best comprehensive range of turn-key packages including cleaning, refurbishment, installation, training and warranty programs. Additionally, we are always in the market to purchase your excess equipment or to offer a competitive trade value. Press Plus can buy your pre-owned equipment, provide plant appraisals for bank loans, organize plant liquidations, provide cost analysis for capital purchases, or consult with you on the correct direction for your company. 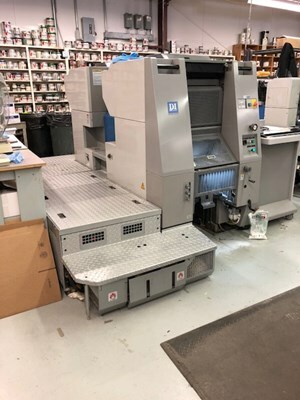 If you are looking at upgrading your equipment or are in need of a competitive trade-in value, look no further than Press Plus. Please contact us to see what we can do for you! Press-Plus has the capital and ability to buy your excess printing equipment for stock. We are always looking for used machines to purchase, from all manufactures, ages & sizes. Please contact us for a no hassle value. Easily finance the equipment your business needs. Choose from a variety of monthly payment options for budget-conscious businesses seeking an affordable path to ownership. Press-Plus stands behind our commitment to quality. With over 350 checks per press, we make sure no stone is left unturned during the refurbishment of your press. 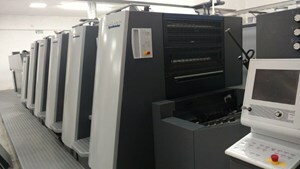 After installation, we back your press with a print and register guarantee to insure print quality. Additionally, we offer as optional insurance based service contract to cover broken parts and labor. Contact us for more information. 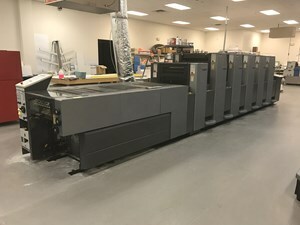 Press Plus is a quality used graphic equipment dealer which was established in 2007, we offer retail services directly to North American customers.